Against the backdrop of armed conflict and spiralling sectarian violence that have marked Iraq in recent decades, another type of violence goes largely unseen. 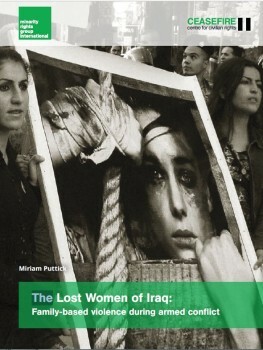 Within the bounds of the domestic sphere, Iraq’s women have paid a heavy price for the breakdown of law and order in society at large. Violence and insecurity have spilled over into the home and, when coupled with the economic desperation that grips many Iraqi families, have manifested themselves in attacks on women. While there has been increased international attention to gender-based violence as an intrinsic feature of Iraq’s conflict, the family remains the number one perpetrator of violence against women in Iraq. This report has been produced as part of the Ceasefire project, a multi-year programme supported by the European Union to implement a system of civilian-led monitoring of human rights abuses in Iraq, focusing in particular on the rights of vulnerable civilians including vulnerable women, internally-displaced persons (IDPs), stateless persons, and ethnic or religious minorities, and to assess the feasibility of extending civilian-led monitoring to other country situations. Download the report in English or Arabic.